In a recent LegiSource article, “Missouri Tires – Colorado Schools,” I described the nexus between the then-pending United States Supreme Court case Trinity Lutheran Church of Columbia, Inc. v. Pauley, concerning a “playground dispute” over scrap tire grants, and a Douglas County School District scholarship program that would provide public school funding for tuition at private religious schools. In that post I opined, along with interested persons filing hundreds, if not thousands, of pages of briefing in the case, that, with the Trinity Lutheran decision, the Court could reconsider its decision in Locke v. Davey, an important decision interpreting the Free Exercise Clause of the First Amendment to the United States Constitution. Some also suggested that the Court could use its decision in Trinity Lutheran to find Colorado’s so-called “Blaine Amendment” or “super-establishment clause” unconstitutional. Officially known as article IX, section 7 of the Colorado constitution, this provision prohibits the state from using public funds in aid of a church, or for a sectarian purpose, or to help support or sustain a church school. As it turns out, the Supreme Court’s decision in Trinity Lutheran Church of Columbia, Inc. v. Comer, doesn’t reconsider Locke v. Davey or even opine on the constitutionality of 26 states’ Blaine Amendments. The Supreme Court’s June 26, 2017, 7-2 decision reversed the Eighth Circuit Court of Appeals, holding that the State of Missouri cannot deny the otherwise-qualified Trinity Lutheran Church (church), simply because of its status as a church, the right to participate in the Missouri Scrap Tire Program, which provides reimbursement grants for pour-in-rubber playground resurfacing made from recycled scrap tires. 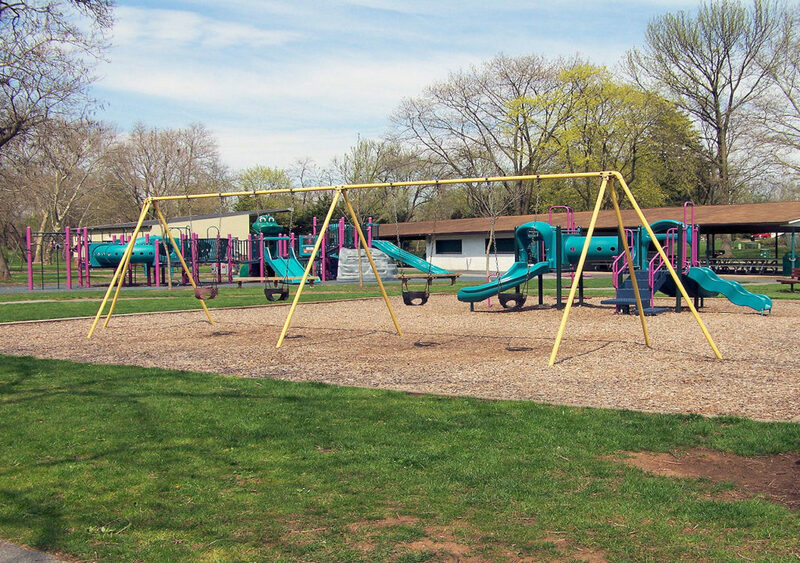 Denying a neutral, generally available public benefit because of who the grantee is—a nonprofit, church-affiliated preschool program—rather than what the grant is used for—safe playground surface material for children—is not okay when the grantee is otherwise qualified under the neutral grant program criteria. The Supreme Court compared the Trinity Lutheran facts with the case of McDaniel v. Paty, involving the constitutionality of a Tennessee law disqualifying ministers from serving as delegates to the state’s constitutional convention. In that case, the Supreme Court held that the statute discriminated against McDaniel by denying him a benefit solely because of his “status as a minister,” thereby effectively penalizing the free exercise of his constitutional liberties. In the Trinity Lutheran case, the church would have had to expressly renounce its religious character or status as a church to participate in the grant program: “The rule [for the grant program] is simple: No churches need apply.” The Court reaffirmed that laws that target religious persons or entities for “special disabilities” or on the basis of “religious status” are subject to the strictest scrutiny and can be justified only by a state interest “of the highest order”. But what about Missouri’s state constitution “no aid” provision? The Court then found that simply complying with a state constitutional provision, such as the Blaine Amendment, does not by itself constitute a state interest of the highest order. The Court held that Missouri’s preference for “skating as far as possible from religious establishment concerns” does not qualify as compelling. And the state’s ability to comply with its “super establishment clause” is limited by the federal Free Exercise Clause. The state’s pursuit of its preferred policy to the point of denying a qualified religious entity a public benefit solely because of its religious character “goes too far” for the Court and violates the Free Exercise Clause. That’s it. But what if the public benefit would do more than just prevent bloody knees? How broad is this ruling? The relatively “easy” (7-2) decision in the case was probably due to the specific facts of the case and the type of public benefit denied the church preschool. Justice Sotomayor, joined by Justice Ginsburg, argued in her dissent that this playground dispute was actually about whether Missouri could decline to fund “improvements to facilities the Church uses to practice and spread its religious views,” and whether the federal constitution requires a state to provide public money directly to a church. But several of the justices were not persuaded. They supported a simpler characterization of the legal issue: A case of improper, express religious identity discrimination that is not supported by a compelling state interest in a neutral grant program with a secular purpose. 3This case involves express discrimination based on religious identity with respect to playground resurfacing. We do not address religious uses of funding or other forms of discrimination. Similarly, while agreeing with much of the majority’s opinion, Justice Breyer concurred in the judgment only, emphasizing the “particular nature” of the public benefit at issue. He noted that “public benefits come in many shapes and sizes,” and saw denying a grant to the church under a program designed to make playgrounds safer as akin to denying police or fire protection for church schools, which the Court has previously held is “obviously not the purpose of the First Amendment.” As to the reach of the Court’s decision, Justice Breyer “would leave the application of the Free Exercise Clause to other kinds of public benefits for another day,” apparently echoing the sentiment of the justices who support footnote 3. Notably Chief Justice Roberts, who wrote the opinion for the court, and Justices Thomas and Gorsuch do not support footnote 3. As you may recall, last spring the U.S. Supreme Court heard oral arguments in the Colorado case, Taxpayers for Public Education v. Douglas County School District, in which the Colorado Supreme Court relied on Colorado’s Blaine Amendment to strike down the Douglas County scholarship program that allowed public school funding to flow to religious schools. Following its opinion in Trinity Lutheran, the Supreme Court vacated the Douglas County decision and instructed the Colorado Supreme Court to reconsider Douglas County’s scholarship program in light of the Trinity Lutheran decision. How will the Colorado justices decide? Stay tuned for Part III in LegiSource. All I know for sure is that within days after the Trinity Lutheran decision, people on both sides of the school voucher debate were writing about the case’s potential impact, or lack thereof, on school voucher programs. Despite the opportunity to do so, the Court did not declare Missouri’s Blaine Amendment unconstitutional. In fact, Blaine Amendments were not even mentioned in the majority’s 15-page opinion. 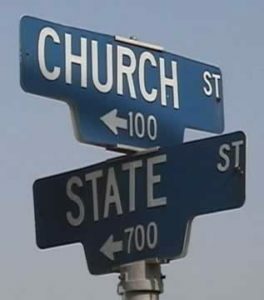 However, it’s safe to say that in the Douglas County case, the Colorado Supreme Court will have to wrestle with issues of status and use and ensure that any impediment to the free exercise of religion is supported by a state interest of the “highest order,” which, based on the Trinity Lutheran decision, would appear to require something more than a simple commitment to complying with Colorado’s Blaine Amendment. Appeal was granted under the case name Trinity Lutheran Church of Columbia, Inc. v. Pauley. The case name was changed to Comer during the pendency of appeal when the new director of the Missouri Department of Natural Resources was appointed. Justice Roberts delivered the opinion of the Court, except as to footnote 3; Justice Thomas, with whom Justice Gorsuch joined, concurred in part; Justice Gorsuch, with whom Justice Thomas joined, concurred in part; Justice Breyer, concurred in the judgment; and Justice Sotomayer, with whom Justice Ginsburg joined, dissented.